In a specific sense I am an unabashed advocate of what has come to be called the applied humanities, roughly and broadly speaking the effort to connect the study of the humanities to identifiable and practical social goods. For me, in addition it includes the effort to develop humanities programs that take seriously that we are responsible (at least in significant part) for preparing our students for productive lives after college, preparation that I think really should be embedded within humanities curricula, advising, cocurricular programming, and the general ethos and rhetoric that we use to inculcate in our students what it means to be a humanist. In several respects this conviction lies at the root of my advocacy for both digital humanities programs and for career planning and programming for liberal arts students, as different as these two areas seem to be on the surface. I have little room left any more for the idea that “real learning” or intellectual work pulls up its skirts to avoid the taint of the marketplace or the hurly-burly of political arenas and that we demonstrate the transcendent value of what we do over and above professional programs by repeatedly demonstrating our irrelevance. Far from diminishing the humanities, an insistence that what we do has direct and indirect, obvious and not so obvious connections to social value enhances the humanities. It’s not just a selling point to a doubting public. As I said yesterday, the only good idea is the idea that can be implemented. We ought to be proud of the fact that we can show directly how our students succeed in life, how they apply the things they’ve learned, how they find practical ways of making meaningful connections between their academic study and the world of work. At the same time, I will admit that some versions of this argument leave me cold. It risks saying that the only thing that is really valuable about the humanities is what is practically relevant to the marketplace. I greet this effort to make Wordsworth a useful version of a management seminar with a queasy stomach. It may sound like a nice day out in beautiful surroundings, but can walking around Lake District sites synonymous with Romantic poet William Wordsworth really offer business leaders and local entrepreneurs the crucial insights they need? That is precisely the claim of Wordsworth expert Simon Bainbridge, professor of Romantic studies at Lancaster University, who believes the writer can be viewed as a “management guru” for the 21st century. Such walks, which also have been incorporated into development days for individual firms, are now being offered as a stand-alone option for local and social entrepreneurs at a rate of £175 ($274) a day. I do not find the insight here wrong so much as sad. If the only reason we can get people to read Wordsworth is because he will enhance their management skills, we have somehow misplaced a priority, and misunderstood the role that being a manager ought to play in our lives and in the social and economic life of our society. It is the apparent reduction of all things and all meaning to the marketplace that is to be objected to and which every educational institution worthy of the name ought to furiously resist, not the fact of marketplaces themselves. I was lucky enough this summer to attend the Harvard Institute for Management and Leadership in Education. To be honest, I went thinking I was going to get all kinds of advice on things like how to organize projects, how to manage budgets, how to promote programs, how to supervise personnel. There was some of that to be sure, but what struck me most was that the Institute, under the leadership of Bob Kegan, put a high, even principal, priority on the notion that managers have to first take care of who they are as human beings if they are to be the best people they can be for their colleagues and their institutions. You have to know your own faults and weakness, your own strengths, your dreams, and you have to have the imagination and strength of mind and heart (and body) to learn to attend to the gifts, and faults and dreams and nightmares of others before or at least simultaneously with your own. In other words, being a better manager is first and foremost about becoming a healthier, more humane, fuller human being. The tendency of some applied humanities programs to show the relevance of poetry by showing that it has insights in to management techniques, or the relevance of philosophy because it will help you write a better project proposal, is to misplace causes and to turn the human work of another imagination (in this case Wordsworth) into an instrumental opportunity. The reason for reading Wordsworth, first and foremost, is because Wordsworth is worth reading, and simultaneously because the encounter with Wordsworth will give you the opportunity to be a fuller, more imaginative, more thoughtful human being than you were before. If you become that, you will have a chance to be a better manager. But even if you don’t become a better manager, or if you lose your job because your company is overtaken by Bain capital or because students no longer choose to afford your pricey education, you will, nonetheless, be richer. This entry was posted in Books, cultural literacy, Digital Humanities, education, higher education, Humanities, imagination, poetry and tagged applied humanities, business, career development, careers, digital humanities, Harvard, Harvard Institute for Management and Leadership in Higher Education, higher education, humanities, Wordsworth on August 10, 2012 by Peter Kerry Powers. The pace at which digital material is being made available to the public and to students and scholars in the humanities is accelerating, whether one thinks of the digitization of books, the new MOOC’s from MIT and Harvard and others that will extend learning the humanities and other fields, or the digitization of papers and manuscripts that were previously in highly restricted manuscripts or rare book sections of single libraries like the James Joyce Papers just released in Ireland. Another addition to this list is the release of a new digitized collection of Hemingway’s writings for the Toronto Star. The Star has put together the columns written by Hemingway for the paper in the early 20s, along with some stories about the writer. I’m basically extremely happy that archives like this and others are taking their place in the public eye. I had a great course on Hemingway while pursuing an MFA at the University of Montana with Gerry Brenner, and the legacy of Hemingway was felt everywhere. Still is as far as I’m concerned. 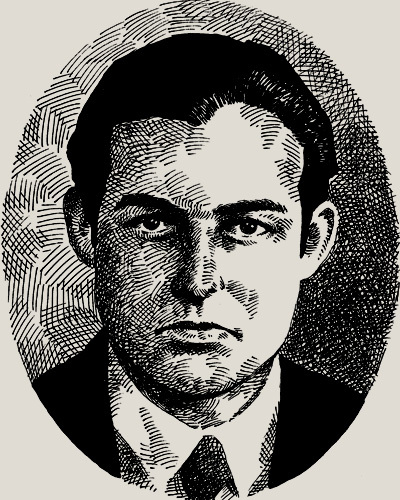 The legendary writer’s reporting from the Toronto Star archives, featuring historical annotations by William McGeary, a former editor who researched Hemingway’s columns extensively for the newspaper, along with new insight and analysis from the Star’s team of Hemingway experts. I hadn’t really realized that the Toronto Star was a center of Hemingway scholarship, but maybe I’ve missed something over the past 20 years. Other similar statements emphasize the Star’s role in Hemingway’s life as much as anything about Hemingway himself: emphases on the Star’s contributions to the great writer’s style (something that, if I remember, Hemingway himself connected more to his time in Kansas City), emphases on the way the Star nurtured the writer and on the jovial times Hemingway had with Star editorial and news staff. Sounds a little more like a family album than a really serious scholarly take on what Hemingway was about in this period. Indeed, there is even a straightforward and direct advertisement on the page as it sends you to the Toronto Star store where you can purchase newsprint editions of Hemingway’s columns. I don’t really want to looks a gift horse in the mouth. There’s a lot of good stuff here, and just having the articles and columns available may be enough and I can ignore the rest. Nevertheless, the web is a framing device that makes material available within a particular context, and here that context clearly has a distinct commercial angle. It strikes me that this is a version of public literary history that has all the problems of public history in general that my colleague John Fea talks about over at The Way of Improvement Leads Home. Here of course it is not even really the public doing the literary history but a commercial enterprise that has a financial stake in making itself look good in light of Hemingways legacy. The Star promises the site will grow, which is a good thing. I hope it will grow in a way that will allow for more genuine scholarly engagement on Hemingways legacy as well as more potential interactivity. The site is static with no opportunity for engagement at all, so everything is controlled by the Star and its team of Hemingway experts. We take it or we leave it. For the moment I am taking it, but I worry about the ways commercial enterprises can potentially shape our understanding of literary and cultural history for their own ends. I wonder what others think about the role of commercial enterprises in establishing the context through which we think about literature and culture? This entry was posted in Books, cultural literacy, Digital Humanities, education, Humanities, intellectuals, literature, publishing and tagged Books, digital humanities, digitization, Hemingway, Reading, Toronto Star on May 10, 2012 by Peter Kerry Powers. Eliot contains the same ecstatic vision which runs from Münzer to Yeats. However, he retains a grounding in the social reality/order of his time. Facing what he perceives as a choice between ecstatic chaos and lifeless mechanistic order, he accedes to maintaining a separation of asexual purity and brutal sexual reality. And he wears a stoical face before this. Read his essay on Tradition and the Individual Talent, as well as Four Quartets, when he’s less concerned with depicting moribund Europe, to catch a sense of what I speak. Remember how I said there’s a certain kind of conservatism which I respect more than bourgeois liberalism—Eliot is of this type. Of course, the dichotomy he maintains is reactionary, but it’s due to a deep fatalism, not ignorance. (Counter him with Yeats or Pound, who, arising from the same milieu, opted to support Hitler and Mussolini.) And this fatalism is born out of the relation between fertility and death, which I touched on in my last letter—life feeds on itself. A fatalism I share with the western tradition at times. 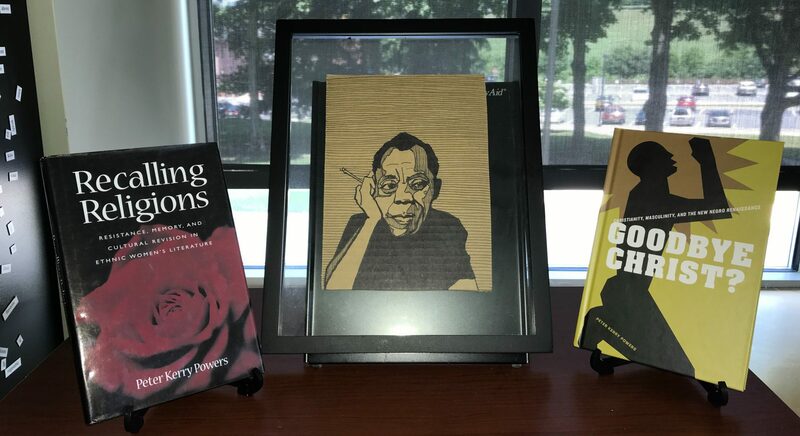 A Portrait of Barack Obama as a Literary Young Man – GalleyCat. For a 22 year old, you’d have to say this is pretty good. I’m impressed with the nuance of Obamas empathetic imagination, both in his ability to perceive the differences between the three great conservative poets of that age, and in his ability to identify with Eliot against his own political instincts. This is the kind of reading we’d like to inculcate in our students, and I think it lends credence to the notion that a mind trained in this kind of engagement might be better trained for civic engagement than those that are not. But too often even literature profs are primarily readers of the camp, so to speak, lumping those not of their own political or cultural persuasion into the faceless, and largely unread, camp of the enemy, and appreciating without distinction those who further our pet or current causes. This is too bad, reducing a richer sense of education for civic engagement into the narrower and counterproductive sense of reading as indoctrination. I think the older notion was a vision of education that motivated the founding fathers. Whatever one thinks of his politics, passages like this suggest to me that Obama could sit unembarrassed with Jefferson and Adams discussing in all seriousness the relationship between poetry and public life. It would be a good thing to expect this of our presidents, rather than stumbling upon it by accident. This entry was posted in cultural literacy, education, higher education, imagination, literary criticism, poetry, Reading, Uncategorized and tagged Barack Obama, biography, Ezra Pound, Four Quartets, literary criticism, poetry, politics, Reading, T.S. Eliot, Waste Land, Yeatts on May 6, 2012 by Peter Kerry Powers. Do Humanities Programs Encourage the Computational Illiteracy of Their Students? I think the knee-jerk and obvious answer to my question is “No.” I think if humanities profs were confronted with the question of whether their students should develop their abilities in math (or more broadly in math, science and technology), many or most would say Yes. On the other hand, I read the following post from Robert Talbert at the Chronicle of Higher Ed. It got me thinking just a bit about how and whether we in the humanities contribute to an anti-math attitude among our own students, if not in the culture as a whole. And of course there’s the school culture, which itself a product of cultures that are out of kids’ direct control. Sadly, the school culture may be the toughest one to change, despite our efforts at reform. As the article says, when mathematics is reduced to endless drill-and-practice, you can’t expect a wide variety of students — particularly some of the most at-risk learners — to really be engaged with it for long. I think Khan Academy is trying to make drill-and-practice engaging with its backchannel of badges and so forth, but you can only apply so much makeup to an inherently tedious task before learners see through it and ask for something more. via Can Math Be Made Fun? – Casting Out Nines – The Chronicle of Higher Education. This all rings pretty true to me. There are similar versions of this in other disciplines. In English, for instance, students unfortunately can easily learn to hate reading and writing through what they imbibe from popular culture or through what the experience in the school system. For every hopeless math geek on television, there’s a reading geek to match. Still and all, I wonder whether we in the humanities combat and intervene in the popular reputation of mathematics and technological expertise, or do we just accept it, and do we in fact reinforce it. I think, for instance, of the unconscious assumption that there are “math people” and “English people”; that is, there’s a pretty firmly rooted notion that people are born with certain proclivities and abilities and there is no point in addressing deficiencies in your literacy in other areas. More broadly, I think we apply this to students, laughing in knowing agreement when they talk about coming to our humanities disciplines because they just weren’t math persons or a science persons, or groaning together in the faculty lounge about how difficult it is to teach our general education courses to nursing students or to math students. As if our own abilities were genetic. In high school I was highly competent in both math and English, and this tendency wasn’t all that unusual for students in the honors programs. On the other hand, I tested out of math and never took another course in college, and none of my good humanistic teachers in college ever challenged and asked me to question that decision. I was encouraged to take more and different humanities courses (though, to be frank, my English teachers were suspicious of my interest in philosophy), but being “well-rounded’ and “liberally educated” seems in retrospect to have been largely a matter of being well-rounded in only half of the liberal arts curriculum. Science and math people were well-rounded in a different way, if they were well-rounded at all. There’s a lot of reason to question this. Not least of which being that if our interests and abilities are genetic we have seen a massive surge of the gene pool toward the STEM side of the equation if enrollments in humanities majors is to serve as any judge. I think it was Malcolm Gladwell who recently pointed out that genius has a lot less to do with giftedness than it does with practice and motivation. Put 10000 hours in to almost anything and you will become a genius at it (not entirely true, but the general principle applies). Extrapolating, we might say that even if students aren’t going to be geniuses in math and technology, they could actually get a lot better at it if they’d only try. And there’s a lot of reason to ask them to try. At the recent Rethinking Success conference at Wake Forest, one of the speakers who did research into the transition of college students in to the workplace pounded the table and declared, “In this job market you must either be a technical student with a liberal arts education or a liberal arts major with technical savvy. There is no middle ground.” There is no middle ground. What became quite clear to me at this conference is that companies mean it that they want students with a liberal arts background. However, it was also very clear to me that they expect them to have technical expertise that can be applied immediately to job performance. Speaker after speaker affirmed the value of the liberal arts. They also emphasized the absolute and crying need for computational, mathematical, and scientific literacy. In other words, we in the Humanities will serve our students extremely poorly if we accept their naive statements about their own genetic makeup, allowing them to proceed with a mathematical or scientific illiteracy that we would cry out against if the same levels of illiteracy were evident in others with respect to our own disciplines. I’ve found, incidentally, that in my conversations with my colleagues in information sciences or math or sciences, that many of them are much more conversant in the arts and humanities than I or my colleagues are in even the generalities of science, mathematics, or technology. This ought not to be the case, and in view of that i and a few of my colleagues are considering taking some workshops in computer coding with our information sciences faculty. We ought to work toward creating a generation of humanists that does not perpetuate our own levels of illiteracy, for their own sake and for the health of our disciplines in the future. This entry was posted in Books, careers, cultural literacy, Digital Humanities, education, higher education, Humanities, Reading, teaching, technology and tagged education, engineering, humanities, liberal arts, Rethinking Success, science, STEM, teaching, Wake Forest on April 19, 2012 by Peter Kerry Powers.